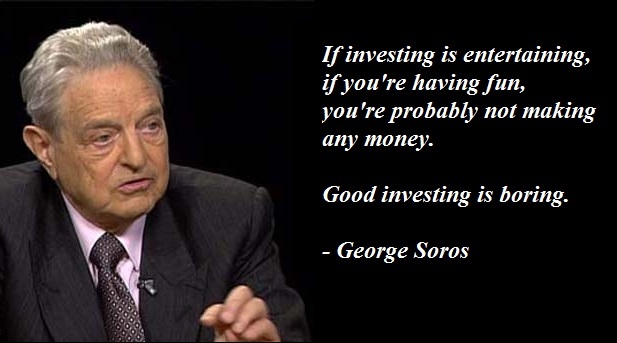 If George Soros is correct, what if investing is my current number 1 hobby? Boring hobby? 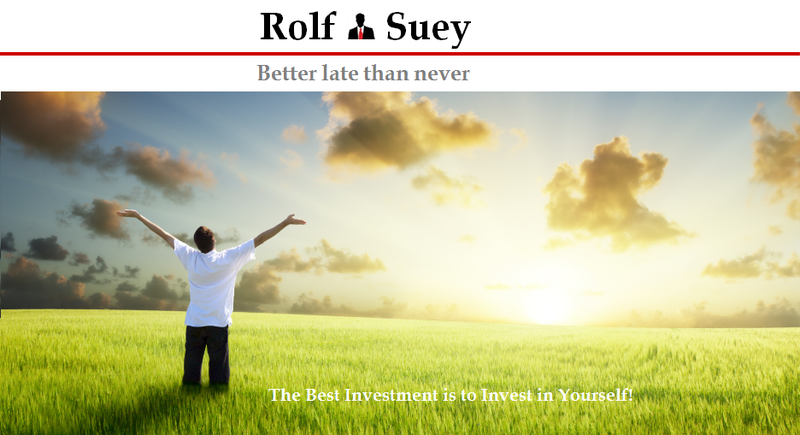 What if I am having fun in investing, does that automatically means that it is bad investing? If it ain't fun, why am I doing it? yes, I tend to not agree with GS. it is fun but just need self control! Agree: Investing should not be the remedy to kill ones boredom. Else it would develop into trading and if even more excitement and faster movements are required, gambling in stocks. There are cheaper remedies to produce equally entertaining feelings. Disagree: Whether investing is entertaining depends on one's entertainment threshold (how fast do profits/losses have to happen to entertain you?). Entertaining can mean fascinating or intriguing as well and does not only mean 'fun'. Some people find chess entertaining and others visiting the dentist. And congrats to George Soros for spending his life on non-entertainment and no-fun (he is considered a good investor, isn't he?). Guess the best way is to make our life super interesting. So that if investing is really boring, u still are overall very interesting. Unfortunately we can’t pinpoint exactly what makes our life super interesting beforehand. But we know with certainty what is not interesting at all. I realized that often negative knowledge (what n o t to do) is much more potent than positive knowledge (what to do). Either exciting like hunting or boring like fishing. Both are waiting too! Hunting is exciting, but more dangerous! Fishing is boring but safer!